Durano S Etape – designed to be used for your event or race day in mind and is said to be lighter with a lower rolling resistance than the standard Durano tyre. Available in black, blue, red, silver and white stripes in either 23 or 25. 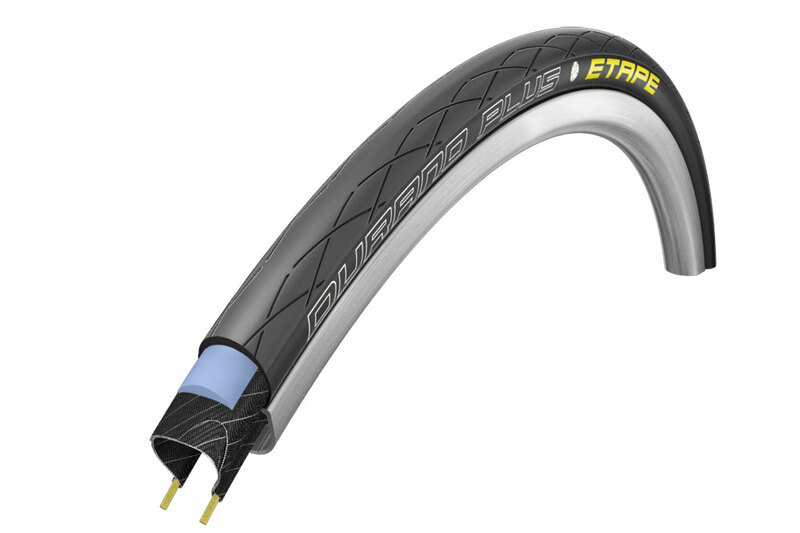 Durano Etape – Schwalbe suggest that no other racing tyre last as long as the Durano Etape. A Dual Compound offers longevity and high level of grip in wet winter conditions and added RaceGuard puncture protection belt will look to also safeguard from punctures too. Only available in black, in 23 or 25 widths. 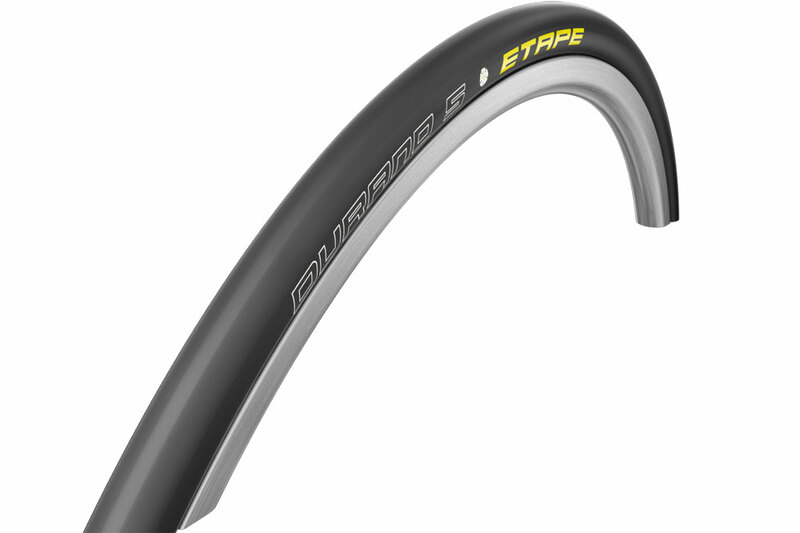 Durano Plus Etape – Completing the set is the Plus Etape, which is said to have maximum puncture protection ideal for winter rides. Schwalbe say that the Durano Plus has the same SmartGuard puncture protection found in the Marathon Plus but isn’t as thick but doesn’t compromise on penetration punctures. Black versions available with the standard 23 and 25 sizes up for grabs. These limited edition tyres that all show yellow ‘ETAPE’ writing on the sidewalls in keeping with the Tour de France and will only be available to purchase until the end of July from independent Bicycle Dealers only.